Should we automate label and narrow web matrix removal? >Should we automate label and narrow web matrix removal? 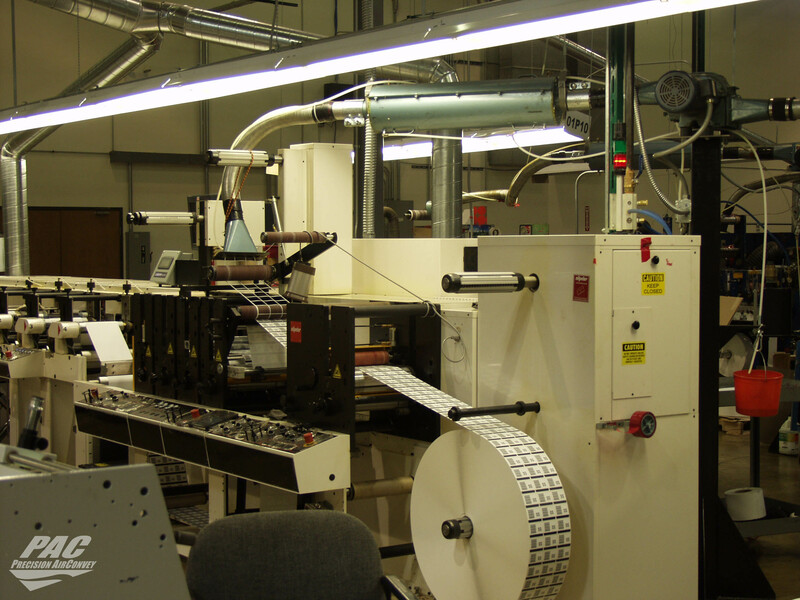 Labeling, narrow web and flexo printing companies that don't automate their matrix waste removal processes face a variety of challenges. Without a matrix waste removal system, line stoppages become a way of life. First you need to rewind the waste roll, and then you need to remove it. When you pneumatically convey matrix waste instead of rewind it, you save time-consuming steps, promote line uptime and may increase press speed up to 40%. Lifting heavy rolls from the rewind station isn't just inefficient — it's tough on your workers, too. Avoid workers comp claims by automating your process. Not all matrix waste rolls up in a consistent, neat manner when it's rewound. If labels are irregular in shape, you may end up with bumpy, lumpy and all-around hard-to-deal-with waste rolls. Densifying the matrix waste by conveying it through a cutter system allows you to handle it easily, safely and efficiently. Precision AirConvey's matrix waste removal systems pick up the PSA (pressure sensitive adhesive) material with infeeds featuring a proprietary nonstick coating. The small diameter of PAC's infeeds means that less air is needed to convey the waste than with larger infeeds. Less air means less horsepower is necessary, and so energy costs are reduced. To ensure that the system doesn't clog, the matrix waste is conveyed through a mist of fine food-grade and environmentally friendly mineral oil, Operators control how much oil is used based on the material's needs. Oil distribution in shops with several presses can become even more streamlined with the use of a central oil mist system. Finally, the matrix waste is sent through precision inline cutters, chopped up into small pieces and delivered to a collection bin or baler for removal. By densifying matrix waste in this way, companies can lower the volume of its waste, reducing the number of trips to the landfill. In some regions of the country, matrix waste with a high BTU can even be recycled as a source of alternate energy.